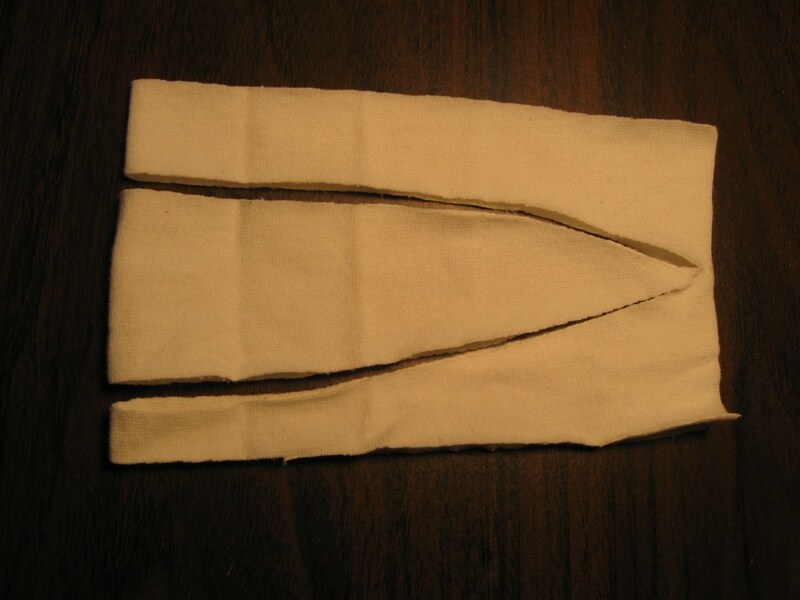 My niece has asked me to sew a costume for her to wear at Comicon being held in New York next month. Yes, in a couple of weeks. I'm also in the middle of sewing for a design competition for Peggy Sager's ETAC event next month. 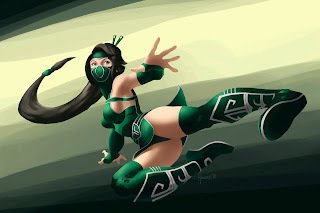 I don't have time to make this costume. However, I love her so I said yes. I'm starting out with a pattern from the Kwik Sew Bathing Suit Master Book and traced the leg portion of a Kwik Sew leggings pattern and added a toe. I sewed it up in a knit to test the fit, so now I have to alter the swimsuit pattern to have the straps and then make a skirt and belt. She has a cute young body so yes, it will be cut that close to her breast. Oh, to be in my 20's again. I'm not sure why I always put myself under such time restraints. But then again, I always do my best work under pressure. Does anyone know of a gold trim I could use on the suit and skirt that would stretch with the nylon lycra I'm making them out of? We bought gold braid and that will be good on the armor since we're using a ponte roma poly fabric stiffened with peltec. The gold braid won't stretch, however. I'm sort of stuck on how to handle that part of this costume. Any help you can offer would be very much appreciated. Since it's been forever since I last blogged regularly, I decided to give my blog a new look. It took me hours to get something that I wasn't embarrassed about, but I'm still not liking it. I wish I wasn't such a computer dummy so that I could figure things out. You'd think that my computer programmer husband would help me with projects like this. No. However, in his defense when my hard drive decided to stop booting up a couple of weeks ago, he did buy me a new one and figured out a way to transfer all my files from the old one onto my new one. I'm still having to load lots of programs and plug-ins, but that I can do. Anyway, I think there is way too much of that bright green in my blog, but haven't figured out a way to change it since it's part of the template and isn't allowing me the option of a different color in some areas. I'll figure it out, just not tonight. As far as my plans to sew all summer so I'd have a great new wardrobe when school started, well I really didn't sew much at all. I spent such a fun summer doing some traveling to close by destinations like Palm Springs, Las Vegas, and Santa Barbara. I also got together a lot with my other teacher friends. We went to museums, shopping, and even to a concerts at the beach. But what I did most of all was go out to eat. Which led to weight gain. 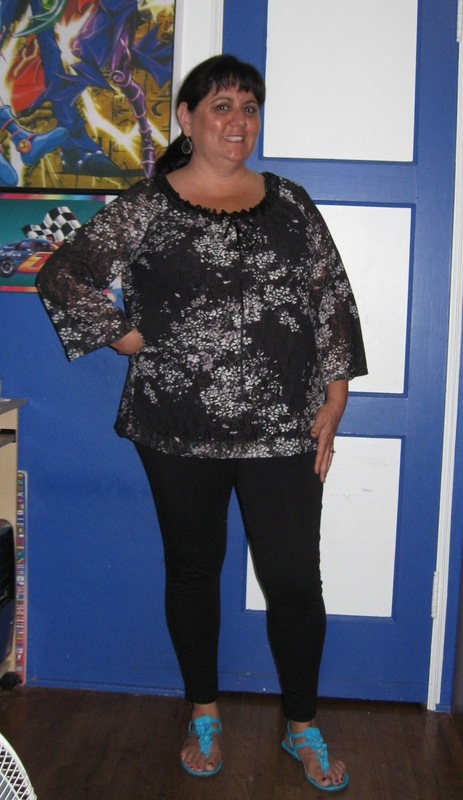 Which led to needing new clothes, which led to me finding lots of thrift stores that sells practically brand new plus sized clothes. A few weeks ago I went shopping at JoAnn's and found some fabric that I loved. Now you know that doesn't happen very often and I had a few dollars in my wallet so I bought them. One of them was this sort of crepe/silky fabric with a very interesting border print. I loved the colors and the challenge to use the border in an interesting way. This is what I came up with. 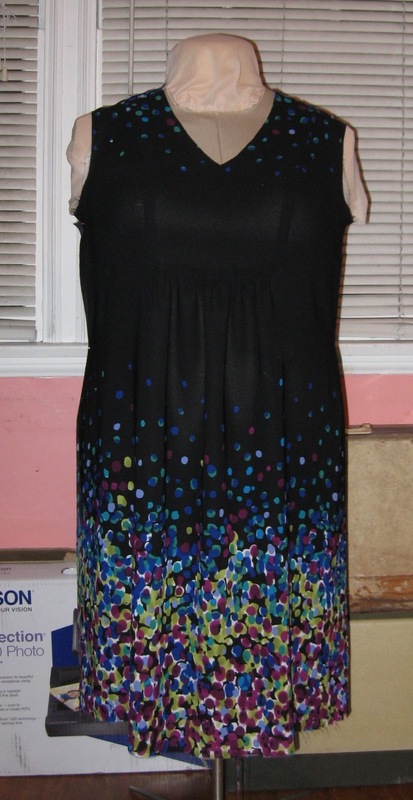 The pattern is Burda 7807 which I've had stashed for quite awhile. Mine is going to be sleeveless and collarless. I don't mind that it doesn't have sleeves since I think a green crocheted shrug that I already own will look great with the dress. I'm dragging my feet getting this one finished because I can't decide if I want to fully line it or just the yoke, like the pattern tells you to. 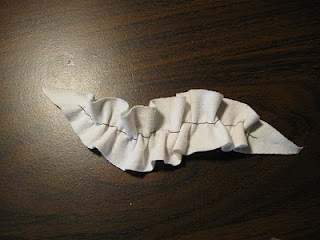 Also, the fabric I cut for the facing shrank horribly even before I got a chance to sew it onto the neckline. Thank goodness that didn't happen after the facing was attached. Anyway, this dress is on my short list of things to get done. I'm also making some muslins out of a few of Peggy Sager's patterns. This top is made from stretch lace and it's my version of Silhouettes #615--Cathy's Blouse. I'm really happy with the fit right out of the envelope. I didn't make any changes at all and I don't think I will on the final version either. This one is definitely wearable, just not with leggings and turquoise sandals. One more thing, I just wanted to say thank you to everyone who comes here to read my blog. So many of you have let me know that you missed my blog while I was off doing other stuff. Sewing friends are the very best there is. 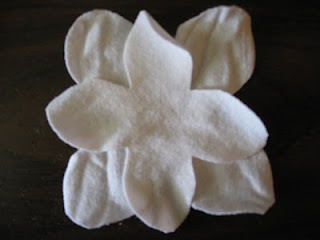 Oh, and if you missed it, be sure to check out the previous post, it's the tutorial for my floral appliqued top that I promised my readers way back in March. Enjoy and don't forget to leave me a comment. I love to read each and every one. 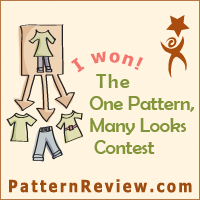 EDITED: Thank you to those who left me comments on my blog's new look. I really listened and did some research. After working for hours I've finally found a look that is reminiscent of the old look, easy to read, and has an up-to-date modern vibe. What do you think? Can someone can tell me how to add my Google Reader list on here as the BLOGS I FOLLOW gadget? Nothing like having my blog mentioned on Patternreview.com to light a fire under me to get back to blogging. If you remember, sometime last March I made a t-shirt and decorated it with flowers like you see in RTW all the time for a BIG price tag. I decided to do this myself and then promised I'd do a tutorial. Drum Roll Please. . . . . . . . . . . . Using knit fabric that is either matching or contrasting to your t-shirt, cut long narrow leaf shapes by folding fabric in half and cut a long strip wider in the middle and tapered to a pointed end. It can be a straight strip since it will be shaped later. With matching thread and a long stitch length, sew a single row down the center of each unfolded leaf shape. 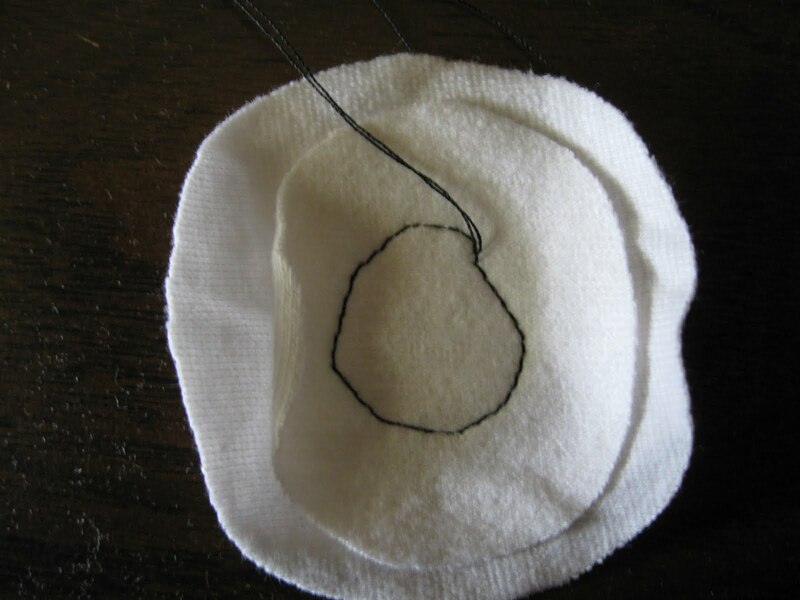 Gather the stitching loosely to make the leaves. Pull the threads to the back and tie off securely. Cut two different size circles and stack them. 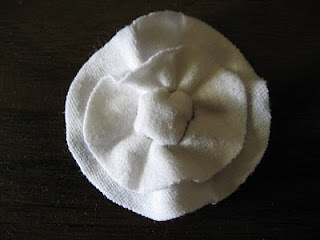 Next, sew a straight stitch in a circle inside the smaller circle of fabric. It doesn't have to be perfect. Gather these threads so that a small bubble is formed in the center of the flower. 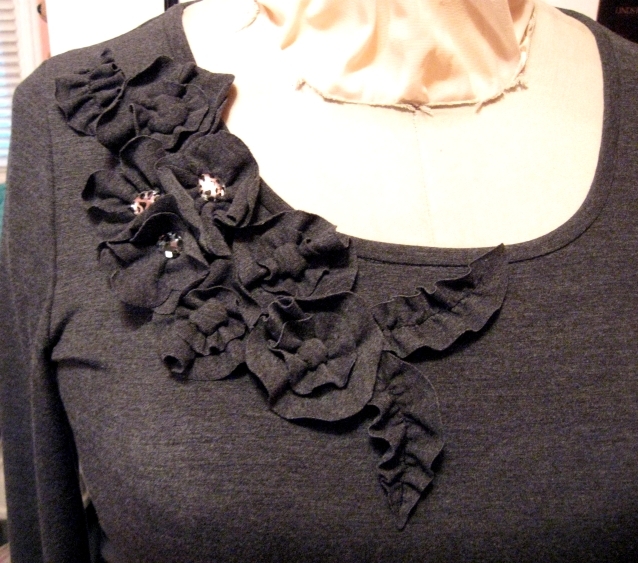 Pull the threads to the back and tie securely. For the shaped petal flower, fold the fabric in half and then in half again the other direction. 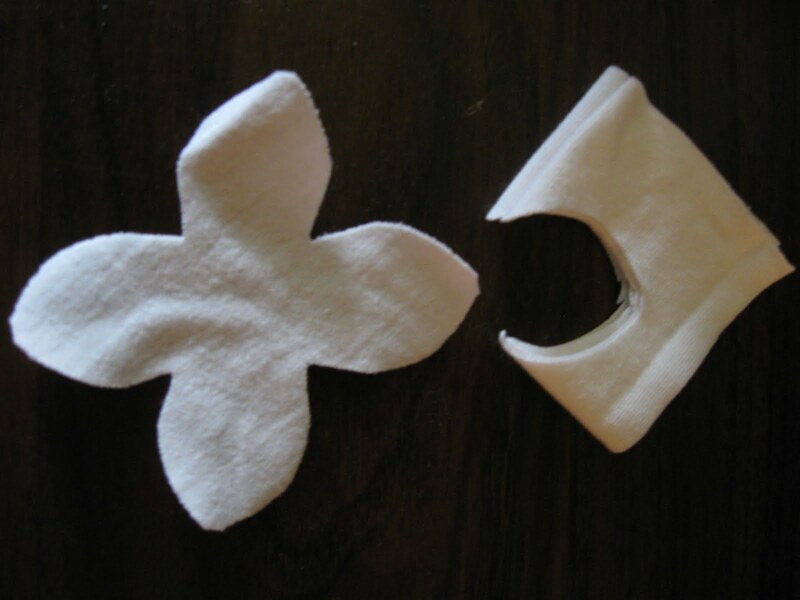 Cut a modified teardrop shape so that when the fabric is opened, it will have a four petal shape. Make two of these--they don't have to be exactly alike. 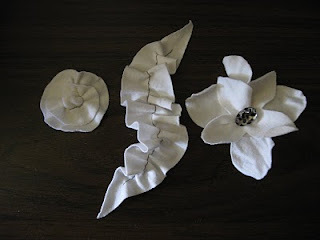 Stack these shapes, rotating one so that the petals are off-set. Then fold the flower stack in fourths again and sew a few stitches across the bottom point. 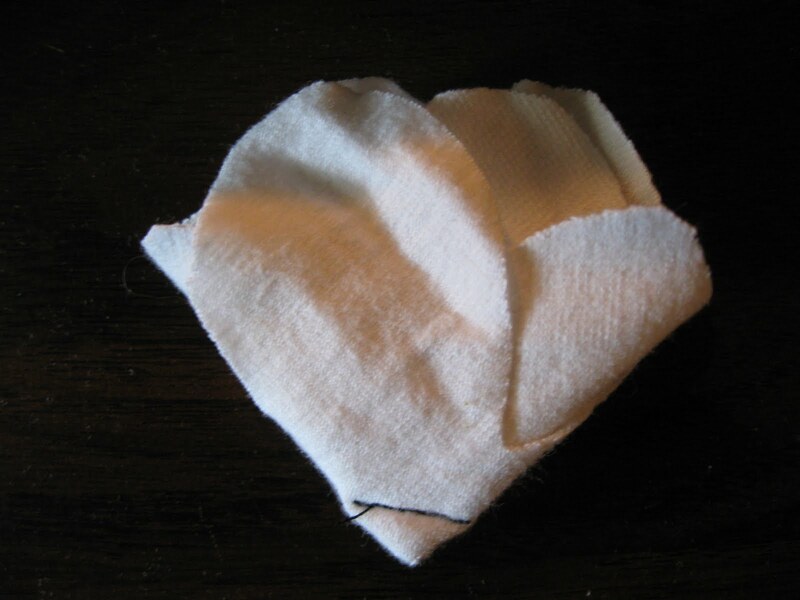 The threads can be tied or backstitched. 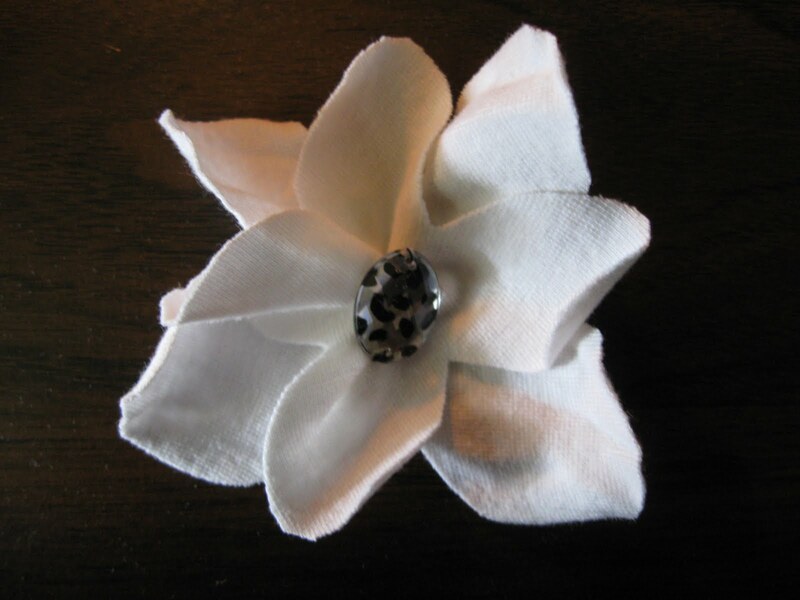 Once the flower is opened back up again, a jewel can be sewn into the center. 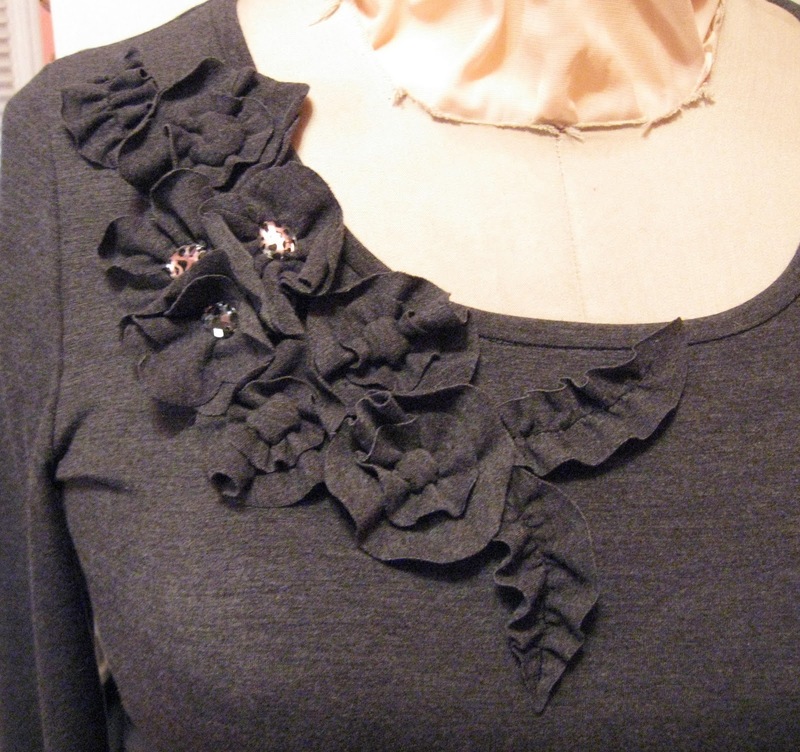 Arrange the flowers and leaves in a pleasing manner on your top and sew them down to the t-shirt neckline by hand.